Patti Negri is a witch who lives in a house buried deep in the Hollywood Hills. 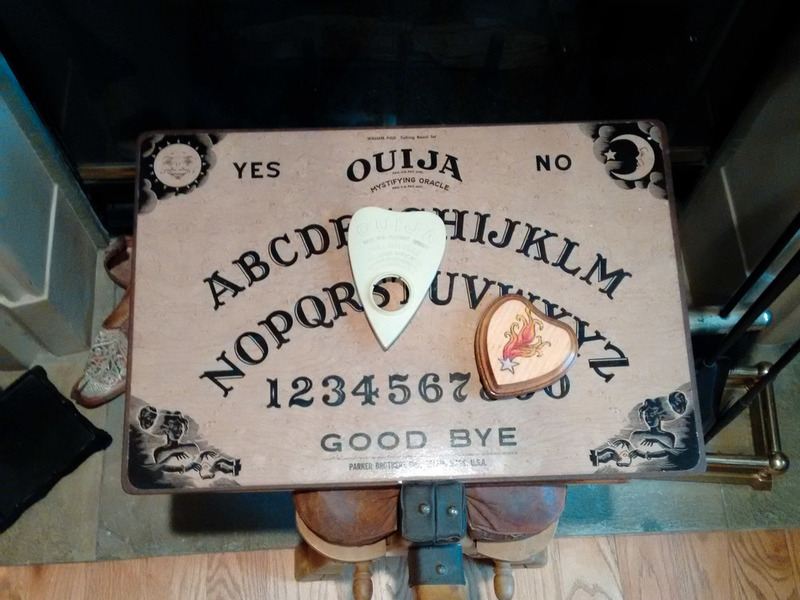 Here Be Monsters producer Jeff Emtman and performance artist Lenae Day went to visit her one day in October 2015, audio recorder in-hand, in an attempt to better understand the mechanisms behind her magic. One of Patti's tools is astral travel (or astral projection), a form of controlled out of body experience where the travelers eschew their flesh and bone bodies for ones made of souls, or energy, or something else entirely. In this state, travelers may move freely through time and space, see things previously hidden, visit alternate realities, or revisit past traumas, all while leaving their physical bodies safely at home. This is sometimes also called "remote viewing". Patti Negri appears on Ghostly Lovers, a Travel Channel documentary on spectrophilia. 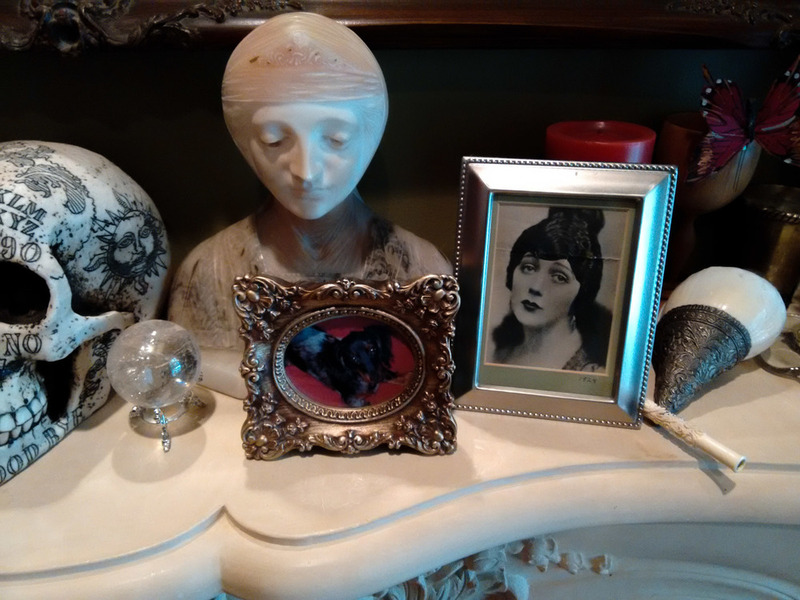 Patti Negri appears on Mansion Hunters, invoking the spirits present in the Black Dahlia Mansion. Good stuff starts around 6:00. From the 1970's through the 1990's, The US military researched remote viewing through Project Stargate, in which they attempted to gather intelligence on the Soviets and others via the employment of skilled remote viewers. In 1995, the government disbanded Project Stargate for being "too vague and ambiguous, making it difficult, if not impossible, for the technique to yield information of sufficient quality andaccuracy of information for actionable intelligence." During roughly the same time period, the Soviets also researched the paranormal. In this episode, Patti facilitates an astral projection session that unwittingly brings Lenae to one of her earliest moments of trauma. And for that reason, listeners should note that this episode contains a brief, albeit vivid, description of violence. Patti Negri is a the senior vice president of the American Federation of Certified Psychics and Mediums, the co-host of the Cosmic Truth podcast, an actress, and a regular guest on reality television shows, including Bank of Hollywood, Mansion Hunters, and Ghostly Lovers. A special thank you to HBM listener Cynthia, for connecting us to Patti. Lenae Day helped record this episode. She is a performance artist living in Los Angeles. She's also the co-creator of KLAM Radio, a new podcast in the form of a public radio station broadcasting out of a fictional desert casino town.